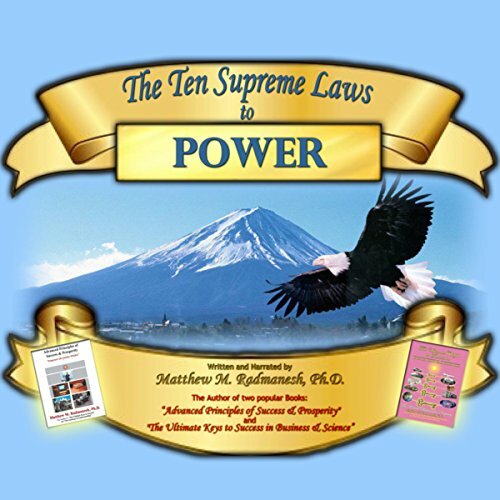 Showing results by author "Matthew Radmanesh"
The Ten Supreme Laws to Power, commonly known as "The Mighty Ten", are the supreme laws of business, successful mastery of which will ultimately put you at the center of a powerful business life. 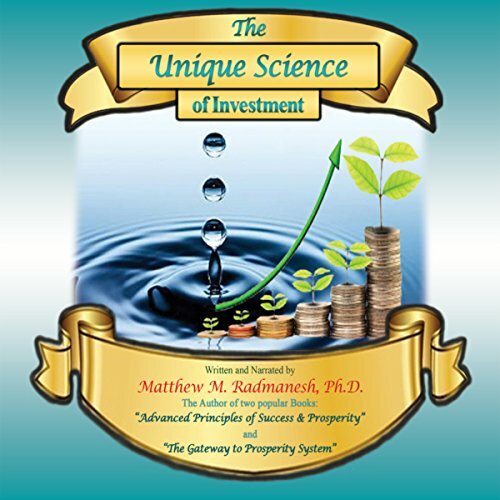 This audiobook is based upon the proven and basic principles presented in the book Advanced Principles of Success and Prosperity. These laws will give you a new viewpoint about the meaning of power in your work as well as your own personal life. 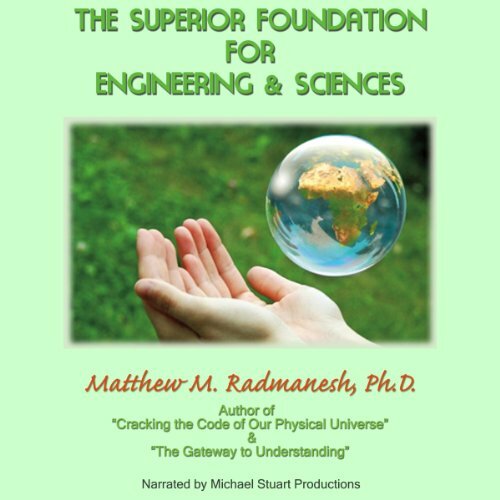 The Superior Foundation For Engineering and Science includes the following: The Scientific Aspects of Life, The Design of Our Universe, and The Composition of Our Universe. 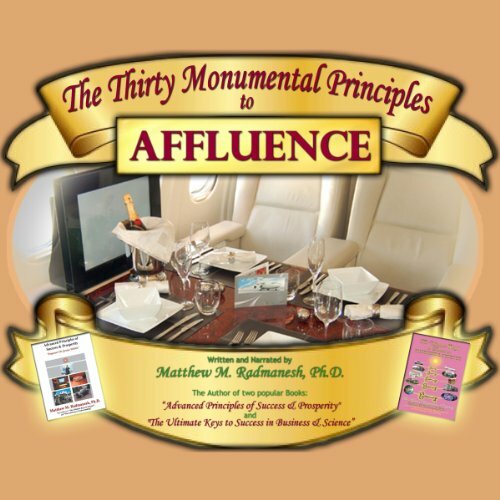 This audiobook is based upon the proven and basic principles presented in the book Advanced Principles of Success & Prosperity. With this audiobook, one has the solid approach that would open the doors of opportunity as never before, and invigorate lost dreams into the realm of possibility - the ones you have dreamt about all your life but have left unfulfilled. 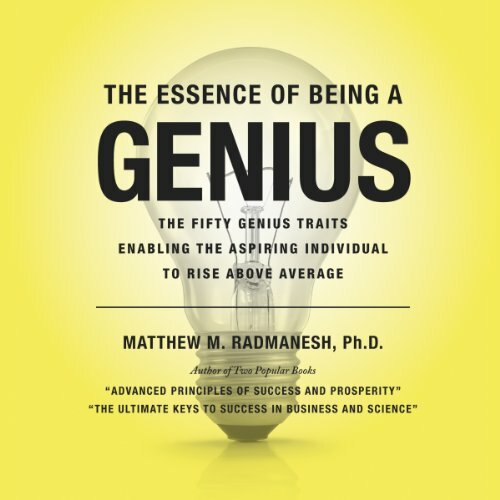 You will discover the misconceptions of being a genius, how one develops genius traits, timeless principles of success, and more! This work provides the blueprint for affluence; a totally new level of existence a condition where life is very extroverted and is positively expanding; it is flowing freely outward with no restraints with no restraints or worries. It is a happy state of affairs where life is luxuriously rich, with a positive outward radiation direction. 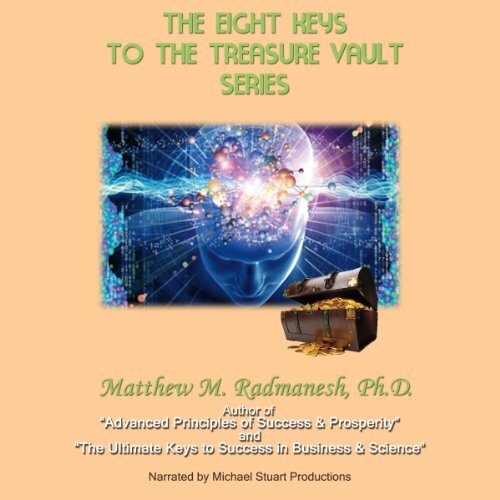 The Eight Keys To The Treasure Vault Series includes the following: "The Magical Power of the Keys", "Key Zero: The Viewpoint", "Key I: The Idea Key", "Key II: The Communication Key", "Key III: The Niche Key", "Key IV: The Establishment Key", "Key V: The Exchange Key", "Key VI: The Trends Key", and "Key VII: The Ethics Key". By: Matthew M. Radmanesh Ph.D.
Narrated by: Matthew M. Radmanesh Ph.D. 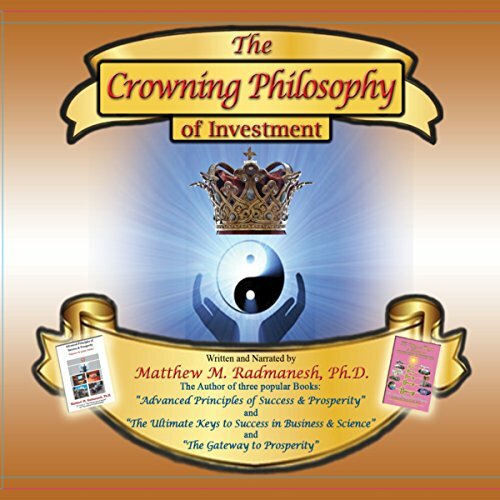 The Crowning Philosophy of Investment offers a "New Paradigm," a modern way of thinking that can turn you into a super successful investor in any desired area. This work provides a guiding light as well as a modern road-map for successful investing, requiring the development of a correct beingness, as well as a proper knowledge base as the very first step, followed by timely execution of a prepared master plan, which would eventually lead to a fruitful basket of remarkable benefits and phenomenal profits. The world at large, whether financial, business, marital, or spiritual surrenders to you the moment you start thinking and acting like an investor with a giant slogan: Investing is the ultimate road to higher realms! 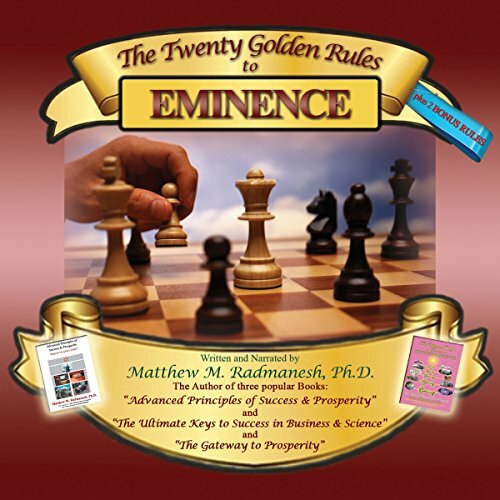 The Twenty Golden Rules to Eminence are commonly known as "The Hefty Twenty." These are the rules that you need to master in order to rise above the crowd, make your presence felt in the business world and achieve your goals. By applying the principles that are embodied within these golden rules, you will shortly see that this work provides the blueprint for achieving eminence in your life, a condition much desired but seldom attained because of the lack of a proven roadmap for success! 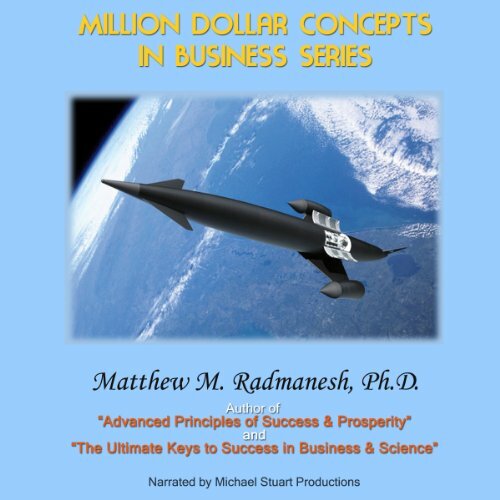 Million-Dollar Concepts in Business Series includes the following: "The Components of a Successful Business", "Success Formulas", and "How to Guarantee Success". The Unique Science of Investment provides, for the first time, a comprehensive and scientific approach to an area of life which has been traveled often by many but has been largely misunderstood by the average public. It provides the solid foundation upon which one can build a financial fortress that will last for generations to come, and prosper from the ample fruits and the many byproducts that it will generate!